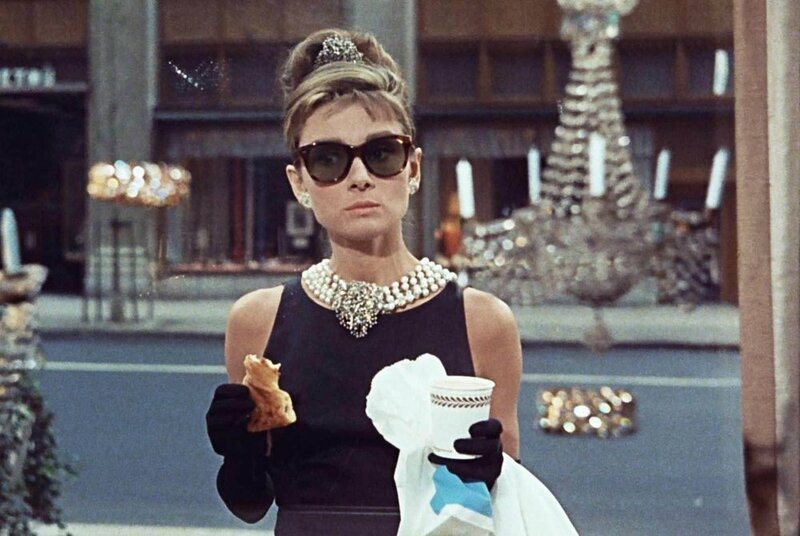 The first image that comes to mind when a client begins talking about pearls is Holly Golightly enjoying her coffee and croissant in front of NYC’s Tiffany & Co. Audrey Hepburn’s character is wearing a ravishing black Givenchy gown with strands of pearl stacked around her neck, fastened with an extraordinary broach. That iconic Breakfast at Tiffany’s scene did for pearl what James Bond did for Martinis. For centuries pearls have been prized for their mystifying powers and folklore. Legends surrounding the pearl come from around the world. In Ancient Greece pearls were held to be tears of the gods, while early Chinese civilizations believed that pearls were carried by dragons. Regardless of mythology, pearls are truly a special creation. This gem is the only one made by an organism. Mollusks produce pearls where an irritant (parasite, seed, grain of sand) enters its body. As a form of protection, the mollusk deposits layers of nacre over the intruder, thus creating a pearl. Natural pearls that are uniform in shape and color are extremely rare and very expensive. The majority of pearls in today’s market are cultured. They are cultivated by artificially implanting a bead or a grafted piece of shell into a pearl-producing mollusk. The cultured pearl market includes a variety of types. Here’s a little info to help you sort through the options and learn what to look for. Used in our best-selling pearl jewelry, akoya pearls refer to cultured saltwater pearls primarily coming from Japan and China. Sizes range from 2mm to 10mm, with the most popular sizes being between 5.5mm and 7.5mm. A white or cream body color is most common, although akoya pearls can be seen in natural yellow, gray, and blue as well. South Sea pearls are admired for their large size. 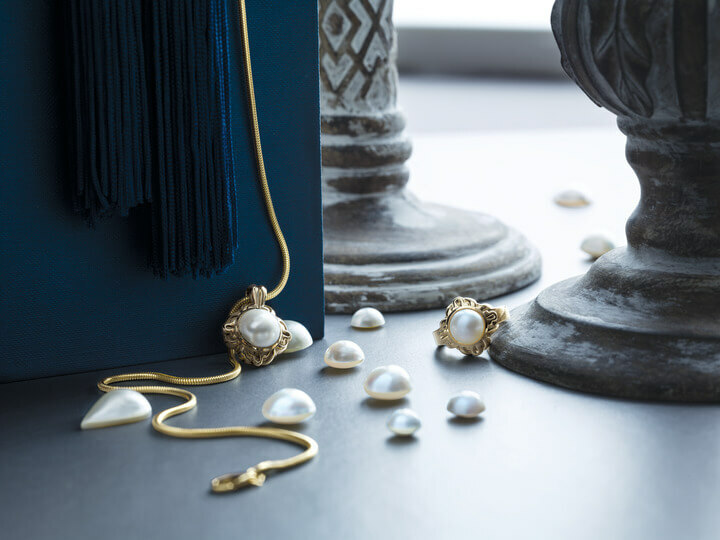 These cultured saltwater pearls hail from Australia, Indonesia, and the Philippines. They range in size from 8mm to 15mm and are available in many colors, though most south sea pearls are white to golden in color. 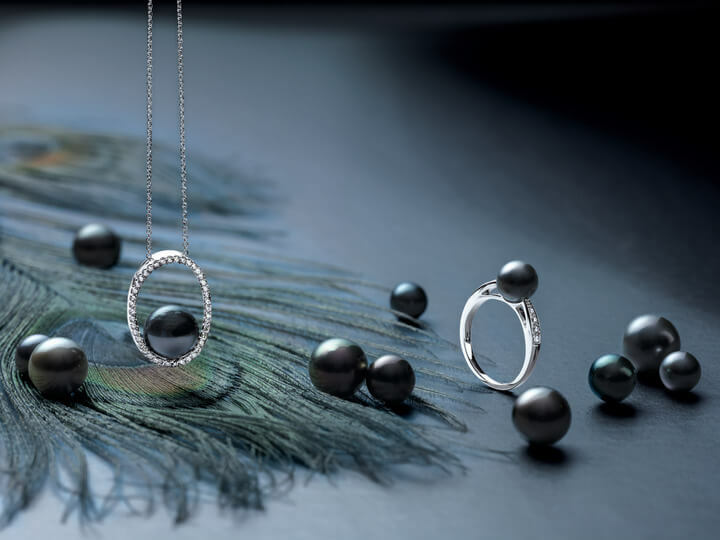 Sometimes referred to as black pearls, Tahitian pearls occur in a wide range of colors. Black is the most familiar, but shimmering white, gray, purple, green hues are stunning. The typical size of these pearls ranges from 8mm to 14mm, and sometimes even larger. Freshwater pearls are just that, pearls cultivated in freshwater. These pearls are plentiful and available in a variety of shapes, sizes, and colors and are often dyed green, blue, brown, pink, purple or black. China is the top freshwater pearl producer in the world, though Japan and the United States have small production as well. Mabé pearls are quite different from the other varieties listed. These blister pearls are formed on the inside of the mollusk shell rather than the body. This formation creates a flat side on the pearl allowing for a secure setting in jewelry. Once you’ve decided the variety, size, shape, and color of your pearl jewelry, it’s time to start shopping! As with any piece of jewelry there are value factors to consider. Pearl value factures are distinct from other gems stones because of their organic nature. Size, shape, and color are always personal considerations and should be determined based on your preference. Your professions jeweler will be able to guide you in selecting pieces. Luster is often the most important value facture when selecting cultured pearls. The term refers to the light reflected on the surface of the pearl described by its intensity and sharpness. Luster identifies the remarkable from the ordinary and bright from the dim. Look for sharp reflections of light on the pearl’s surface. Like anything in nature, pearls (natural or cultured) have some blemishes. The presence or absence of these irregularities are considered the complexion of the pearl. Taking note of the pearl’s surface, observe any variations such as spots, pits, bumps, or abrasions. If you are looking for a classic strand of pearls, matching is a very important value facture. Pearls that are perfectly matched in size, shape, and color and hard to come by and it is reflected in the price. Still, you want a strand that appears uniform in all these factors. Make sure to judge the consistency across the full strand. Perhaps the most important information to know about pearl jewelry is how to care for it, as pearls are much more delicate that most gems. They are very soft, ranging between 2.5 and 4.5 on the Mohs scale of hardness and require special attention. Because of their nature, pearls are vulnerable to chemicals found in many toiletries and household cleaners. Make sure to remove your jewelry before applying cosmetics, perfume, and hairspray; additionally, do not wear your jewelry in chlorinated pools or hot tubs. 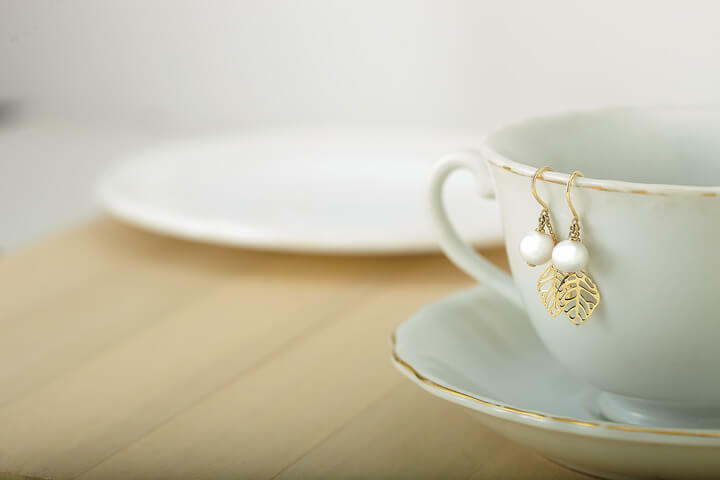 To avoid damage or loss it is wise to remove jewelry before doing dishes, gardening, or exercising. Cleaning should be done as-needed only and never with an ultrasonic or steam cleaner. 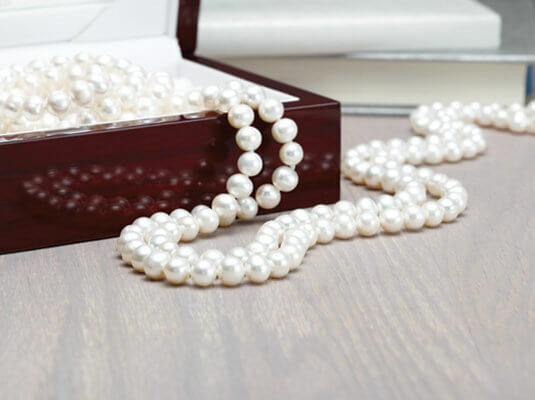 Gently clean your pearls by wiping with a soft, lint-free cloth dipped in warm water using a non-detergent soap. Wipe each pearl individually. Then rinse the cloth and wipe the pearls with clean water. Be mindful not to submerge a strand in water as it can weaken the thread on which the pearls are strung. Your strand may need to be restrung periodically. 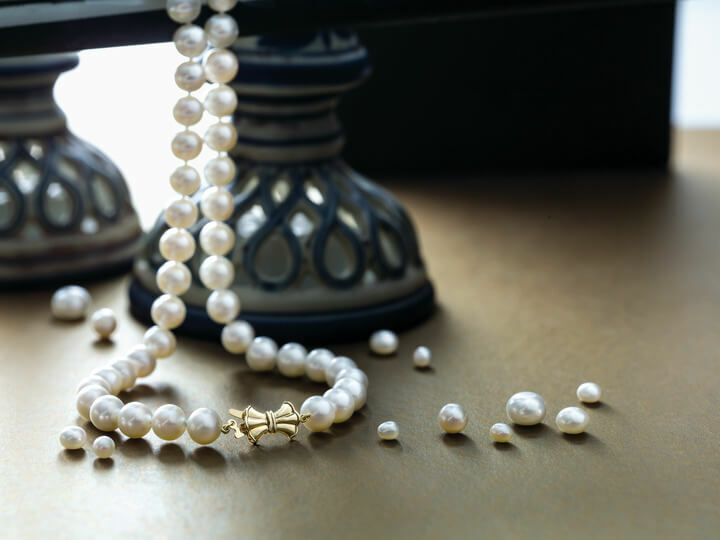 Even gently-worn pearls can loosen over time. Have your jeweler check the knots (they should be tight with no slack between the pearls) and clasp. 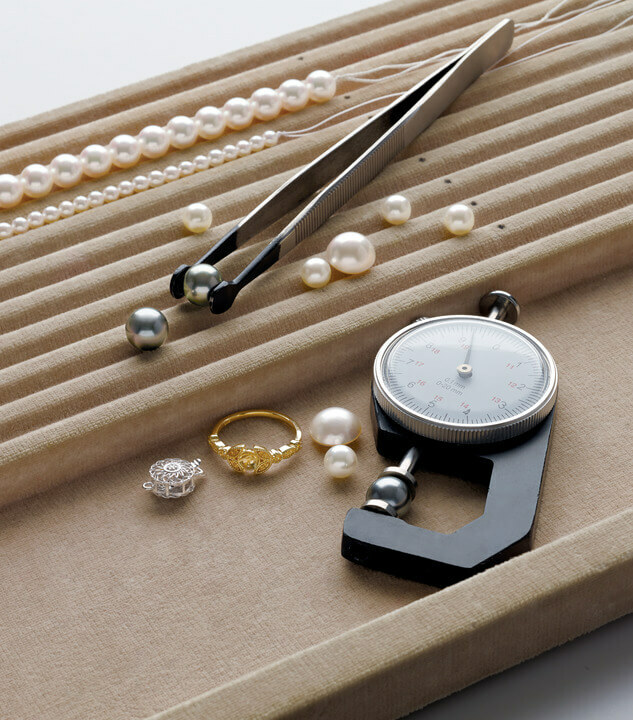 Store your pearls in a soft folder or pouch to keep them separated from other jewelry, as harder materials can abrade the pearl’s surface. Avoid tangled strands by clasping pieces and storing separately. Also, pearls can dehydrate if stored for too long, so get them out of your safety deposit box and enjoy them! 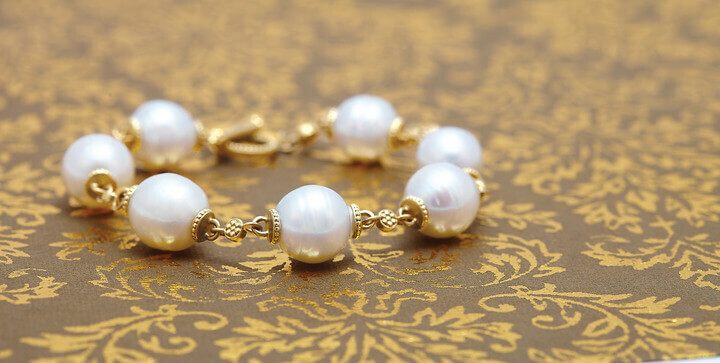 Traditionally pearl jewelry makes a brilliant gift for June birthdays and 30th wedding anniversary. The gemstone is known for its calming properties and represents purity and innocence which is why it is often worn by brides on their wedding day. Whatever the occasion that puts you on your pearl journey, you now have some information to begin. As always, consult you trusted jeweler to help select a piece and contact us with any questions you have.